Anni Albers (1899 – 1994) was a multifaceted artist who established weaving as an art form and united this ancient cultural technology with modern artistic practices. 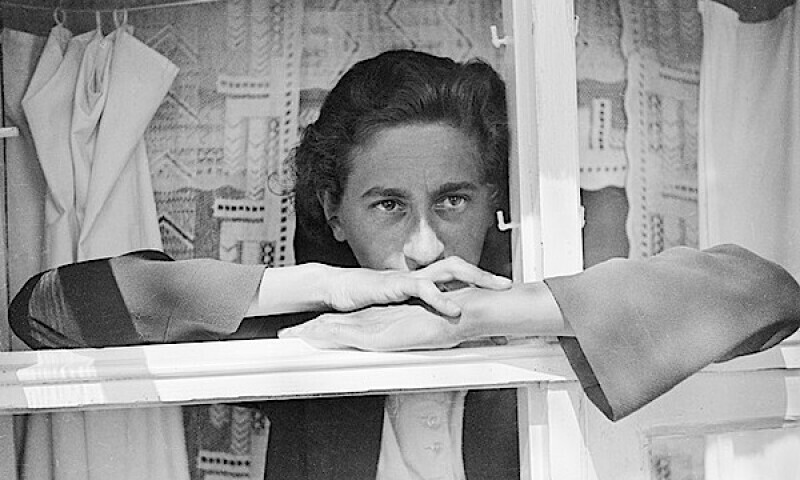 This retrospective exhibition offers deep insight into the achievement of the artist, craftswoman, designer, author, and teacher Anni Albers, from her beginnings at the innovative Bauhaus in Weimar and Dessau, to her time at the legendary Black Mountain College, and up until the 1980s. While her woven images – characterized by textile structures, subtle coloration, and an abstract formal language – are intended for visual contemplation, her room dividers, carpets, and curtain material are meant to be used. Along with her numerous textile patterns and designs, they illustrate Albers’ intensive preoccupation with intricate woven structures and innovative fibers. A selection of works commissioned by architects testifies to her sustained interest in a dialogue between architecture and textile art. In addition, diverse materials, along with texts by Albers the author, illustrate the history and the possibilities of weaving while visualizing – with reference to pre-Columbian textiles from the collection of Josef and Anni Albers – her idea of woven thread as constituting a kind of universal language. This encounter with the remarkable diversity of her achievement will inspire a renewed appreciation for Anni Albers’ singular contribution to modernism and her sustained influence on both art and design.